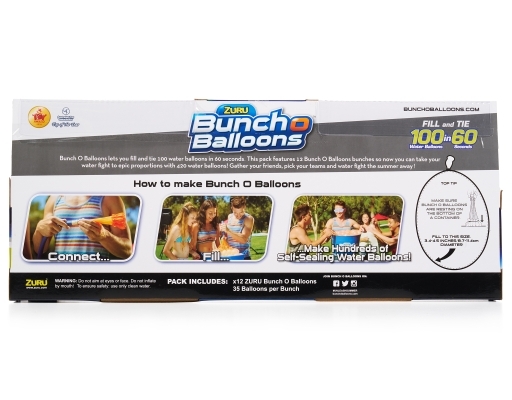 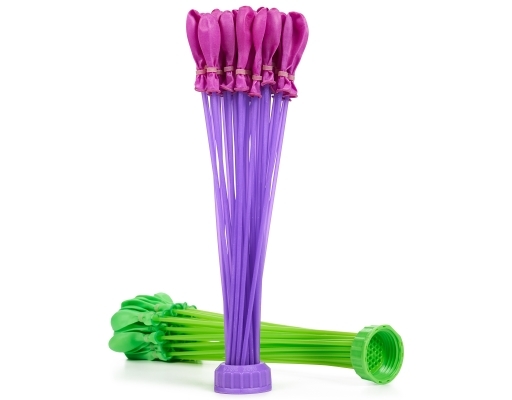 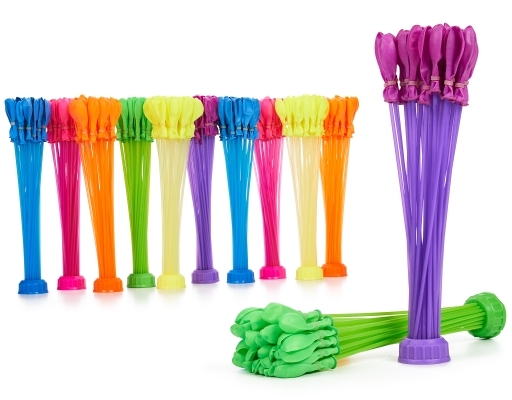 Bunch O Balloons lets you fill and tie 100 water balloons in 60 seconds. 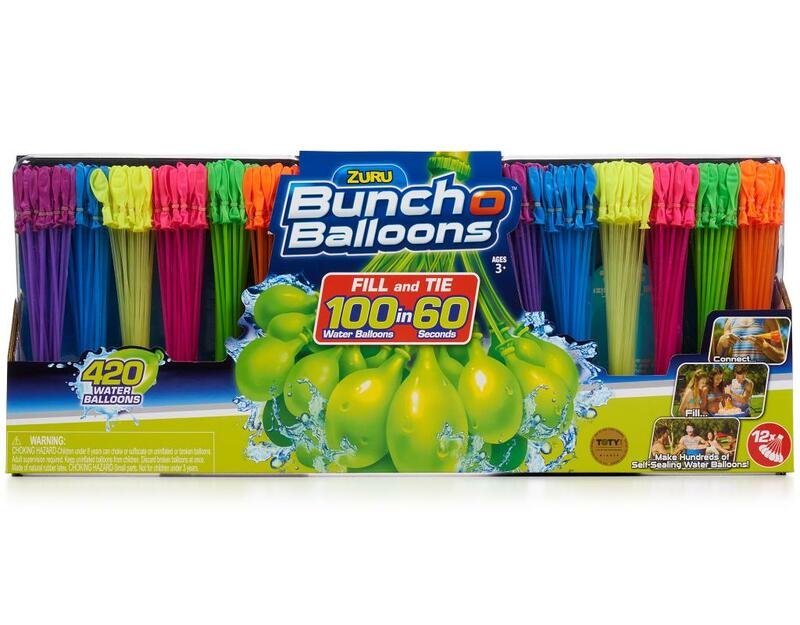 This pack features 12 Bunch O Balloons bunches so now you can take your water fight to epic proportions with 420 water balloons. Gather your friends, pick your teams and water fight the summer away!